Starting off 2016 with another new cassette - The UVF Rays, DC's scion of psychedelia Ryan Witt, is back with a fresh batch of introspective bliss. This new elixir takes the listener for a guided meditative exploration On The Sense Of Self, both shining down from the swelling sun as serene beams of reflective poetry and rising up from tranquil depths as euphonious waves calmly crashing on far distant shores of the imagination. Each translucent purple tape has its own unique cover and was hand-dubbed-with-love right here at DZ HQ. 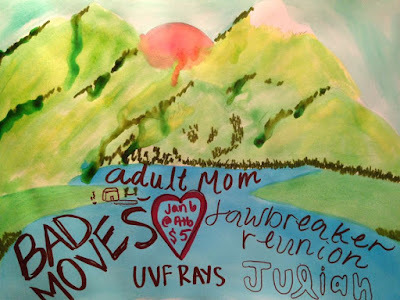 Come celebrate the release with Adult Mom, Jawbreaker Reunion, Bad Moves, and Julian on January 6 at Above The Bayou in DC (click flyer to RSVP). Since we last spoke, the Big Hush and Hemlines tapes have both sold out from the merch store, so before signing off, one more huge thank-you goes out to all of you who have supported the label as it approaches its five-year (!) 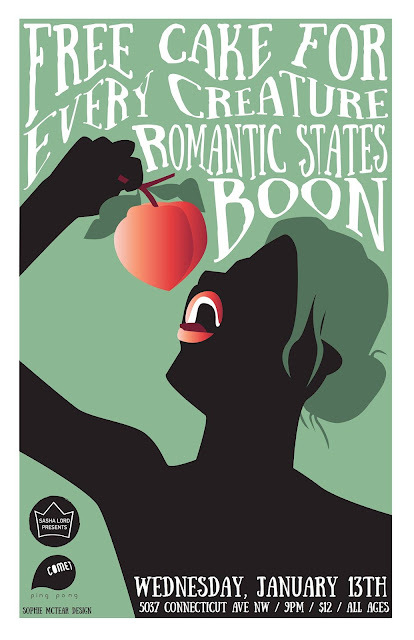 anniversary in 2016. 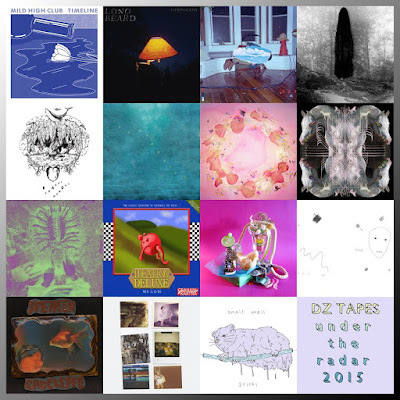 To show my thanks, I've picked 15 lesser-known releases from 2015 that I enjoyed and made a playlist - don’t let the year end without checking these out if you haven’t already (click image below to download).